One in eight babies in Australia every year are born prematurely (before a mother reaches full term in her pregnancy). But what does this actually mean for parents and their too small bub? In Australia if a baby is born before 20 weeks or weighs less than 400g and doesn’t survive, it’s generally considered a miscarriage instead of a premature baby. Most babies who are born early go on to be healthy, thriving children with no issues whatsoever; however, in some cases (particularly when they’re extremely preterm) the babies sadly don’t make it. The reason for this is that their organs and body aren’t developed enough to function properly outside of the womb. 24 weeks gestation is generally considered to be the ‘safe’ age that a premature baby can be delivered, however around one third of premmies of this age will still develop a significant disability such as cerebral palsy, intellectual disability, deafness or blindness. Therefore, the closer a baby is born to their due date is the only way to lower the health risks. It is this reason why premmies are evaluated by an ‘adjusted age’ – which is their chronological age minus the difference between their birth and due date. Studies have found that motor skill milestones for premmies are achieved at the same time as full-term babies (using adjusted ages), and the majority of premature children will catch up size wise within the first year. Why are babies born premature? Unfortunately there is no proven way to prevent or predict a baby being born prematurely, however if a mother does go into labour early sometimes the birth can be delayed with hospital treatments. In some cases a decision is made by doctors to deliver babies prematurely. This usually happens when the lives of mother or baby are considered to be at risk (particularly if either are unwell), and is done via a caesarean or induced labour. It is however considered only as a last resort option, with babies believed to be better off inside for as long as possible, than delivered early. If your baby is very premature they will be required to spend time in a Neonatal Intensive Care Unit (NICU) to help them thrive and adjust to life on the outside. 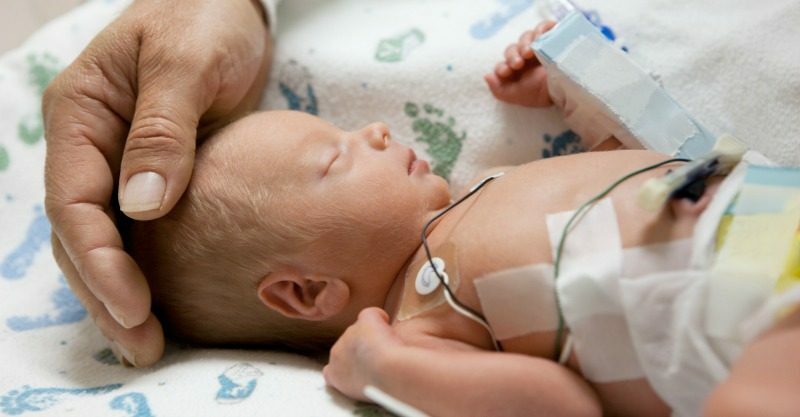 Medical help or treatment for premature babies can include: oxygen to help them breathe, feeding tubes if they can’t nurse, heat lamps to regulate their body temperature and phototherapy to help with jaundice. 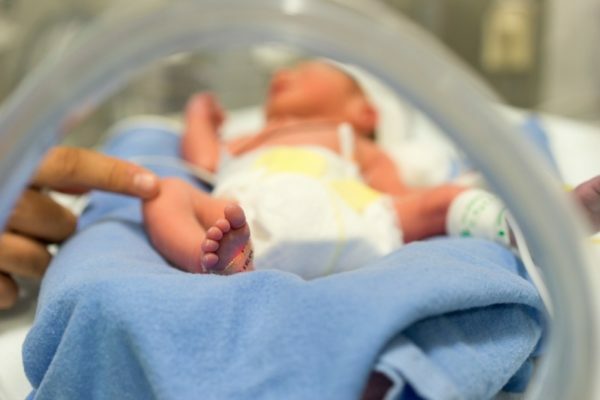 It can be frustrating for new parents to not be able to bring their baby home straight away, or hold or nurse them properly, however as premature babies are at higher risk of infections and other health issues, it is important that they spend time in the NICU. And if a premmie is able to feed, then breast milk is considered ideal as they often suffer gastrointestinal problems, however formula is also a good substitute. If a premmie baby can feed by themselves (without tubes) and move into a crib (regulating their own body temperature) are signs they are improving and ready to go home. If it seems like they’re not growing fast enough don’t worry, because after a year or two your baby will likely show no signs that they were once premature. As always though, if you are concerned with your baby’s development please speak to your doctor. Did you have a premature birth?